The International Indian Film Academy (IIFA)’s 18th Edition of the celebration of Indian Cinema worldwide will be hosted in the city of New York, from 13th – 15th July 2017 this year. The NEXA IIFA Awards Powered by VIVO is an award celebration that honors the very best of Indian Cinema. Mumbai, 1st June 2017: The International Indian Film Academy (IIFA)’s 18th Edition of the celebration of Indian Cinema worldwide will be hosted in the city of New York, from 13th – 15th July 2017 this year. The NEXA IIFA Awards Powered by VIVO is an award celebration that honors the very best of Indian Cinema. As a precursor to the event, Bollywood star Salman Khan was joined by leading ladies Katrina Kaif and Alia Bhatt at the official IIFA press conference in Mumbai at Taj Lands End. Furthermore, in an attempt to encapsulate IIFA’s aim to build bridges across cinemas, businesses, communities and nations, creating everyone’s dream: “One People. One World” a LIVE Video Conference with 5 Cities globally- New York, London, Dubai, Chicago and Houston was also held post the press conference. Speaking about her debut performance at IIFA, Alia Bhatt said, “I am very excited to be a part of IIFA 2017, as this is going to be my debut at the IIFA Awards after 5 years in the industry. I am super excited that IIFA is being held in the beautiful city of New York. IIFA is all about togetherness and the celebration of the Indian cinema globally and I eagerly look forward to this celebration”. This year, IIFA Rocks will celebrate 25 years of A. R. Rahman in the industry. The show is set to feature a never seen before medley of musicians that includes Diljit Dosanjh, Benny Dayal, Javed Ali, Neeti Mohan, Jonita Gandhi and Haricharan Seshadri. IIFA Rocks will be hosted by the charismatic duo Riteish Deshmukh and Manish Paul. 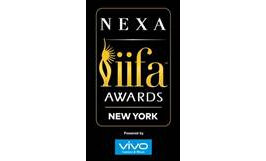 In addition, NEXA IIFA Awards Powered by VIVO will witness performances from Bollywood stars such as Salman Khan, Alia Bhatt, Katrina Kaif, Shahid Kapoor, Sushant Singh Rajput and Kriti Sanon, to name a few. The event will be hosted by Karan Johar. Tickets for the 2017 IIFA Weekend & Awards at New York are available to the general public at ticketmaster.com or on the “Buy Tickets Tab” on the official IIFA website, http://www.iifa.com/. The tickets can also be booked by calling on (800) 745-3000 or purchased directly at the MetLife Stadium Box Office. VIP Club Experience bookings can be made through e-mail at vipclub@iifa.com. IIFA also has a special treat for its fans, “The Double Dhamaka Offer". The International Indian Film Academy recently released the list of winners in the Technical categories, for which, leading films Ae Dil Hai Mushkil, Pink, Fan, Sultan, Kapoor & Sons, Mirzya and Sultan took home the IIFA Statuette. The popular category nominations are available for the global audience to participate in the voting process. The IIFA Global Voting went LIVE on 20th May 2017 and will be open till 18th June 2017. The final winners of the IIFA Awards will be revealed on the night of the Awards ceremony. The results are surrounded by secrecy and the credibility of the voting process is one of the key parameters of this award.